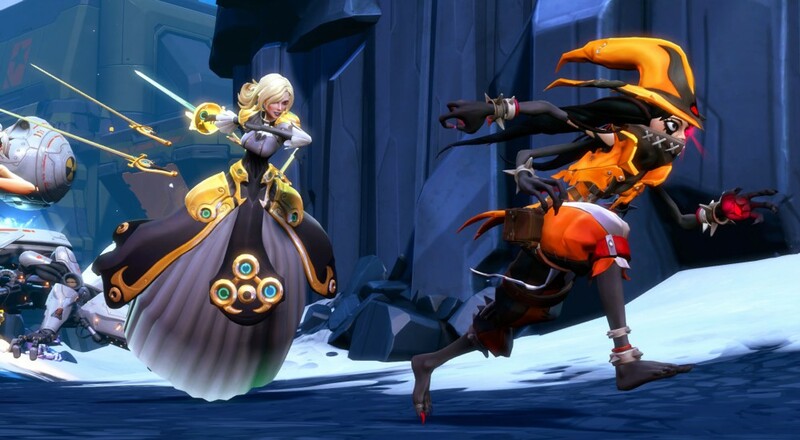 The big announcement prior to E3 was that Battleborn, Gearbox's let's just call it MOBA-style FPS, would have a roster of 25 characters when it sees releases later this year. During the fun week of E3, some of these characters were shown off in new gameplay footage. The three characters to focus on in this 25 minute gameplay demo are Orendi (almost pirate looking spellcaster), Caldarius (a fighter in an armored suit), and Phoebe (Victorian era looking lady with sabers). Thorn and Oscar Mike have been shown in previous teasers/videos, so nothing new there. There's quite a bit about the action of the game that reminds me of Team Fortress 2 mixed with DOTA and Borderlands. It really looks like a game that is going to be highly dependent on how many missions and different types of objectives, etc there are in order for the campaign/co-op portion to succeed. Page created in 0.2391 seconds.